Residents in Belleair, Florida, might assume that ductless air conditioners require little maintenance.The truth is, ductless systems have regular maintenance needs, just like a traditional HVAC unit. If you want your system to run smoothly, be sure to keep these simple maintenance tips in mind. Ductless air conditioners need less room than traditional units, but they still need enough space to run efficiently. Be sure to provide that space. Remove any plants, furniture, or other items that are in front of the unit or the area surrounding it. You should also dust the entire unit regularly. 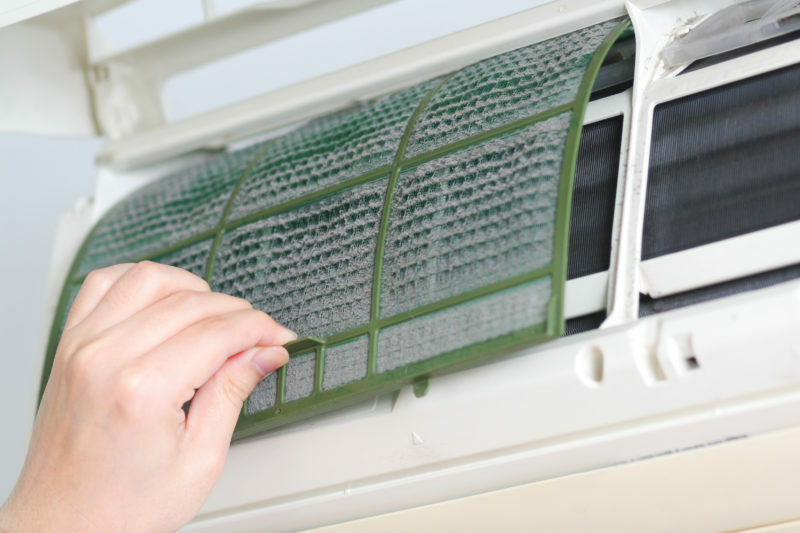 Just like a regular HVAC unit, a ductless system has filters where dust and debris can accumulate. Clearing these filters is one of the most important things you can do to extend the life of your system. After turning the system off, remove the filters and clean them using a dry cloth. Clean your filters every four to six weeks for best results. If you have pets or suffer from allergies, you might want to clean the filters a little more often. Ductless systems also have exterior units that need regular maintenance. Be sure to check for outdoor debris like leaves or tree limbs that have collected in the unit. You can remove these items yourself by gently spraying the coil and condenser with a garden hose. If you need more extensive cleaning, be sure to call a professional HVAC technician. The pipes leading into your home get dirty like any other part of your ductless system. In addition to collecting dust, pipes can also collect water. With water in your pipes, there’s the potential for leaks and blockages. Check your system regularly for potential leaks for anything that might cause problems. Call the Advanced Cooling Systems professionals at 866-827-7662 to schedule your next ductless system maintenance service.